The total number of tourist arrivals to Macau from February 15 to February 20 inclusive rose by 7.9 percent compared to the equivalent period of Chinese New Year in 2017. 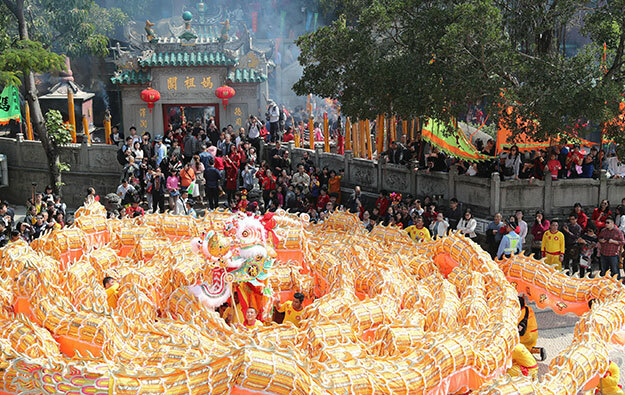 The total tally stood at 826,377, according to the latest figures reported by the Macao Government Tourism Office. A total of 73.8 percent of the arrivals in the period – amounting to 609,982 instances – were by visitors from mainland China, representing a year-on-year increase of 14.5 percent for that group. The peak of visitor arrivals to Macau during Chinese New Year so far was recorded on February 18 –the third day of the festive period – when more than 185,000 visitors entered the city.